Kyle Melting Tallow, new Blood Tribe Police Chief. 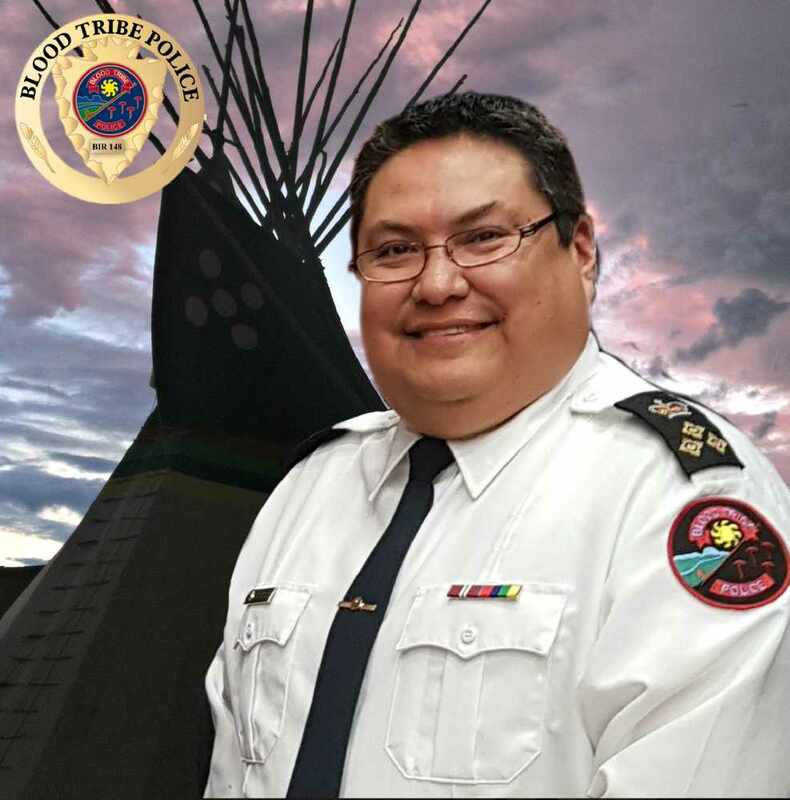 Kyle Melting Tallow will now take on the role of chief of the Blood Tribe Police Service after serving as acting police chief for the past two years. Melting Tallow is from Siksika Nation, and grew up on reserve. He first joined the Siksika police in 1998, and, after the agency closed four years later, moved on to work with Tsuut’ina police. All of his service has been with First Nations policing and in Treaty 7 in southern Alberta. He told Jeremy Harpe of CFWE-FM a couple of cousins were members of the RCMP, and his father served with Siksika police, and that’s what inspired Melting Tallow to enter the policing field. “Those role models really helped (me) to look at giving back to the community, helping the community and being a role model for other youth, as well,” Melting Tallow said. While he’s been serving in an acting chief position, the new permanent role allows an embodiment of the vision of the service, including how policing should be done on reserve. “And, really, how does the public want to be policed.” It’s a partnership he has been working on during the last year-and-a-half or more. It’s about engagement with the community. He said the service members need to be community police officers rather than law enforcement. Recently, Melting Tallow went back to school for a Master’s degree with Royal Roads University. He said his studies have really helped in the transition from specific case management to a broader perspective of leadership. All members are generalists, attending all calls. Melting Tallow says it would be advantageous to have some specialists on the team in order to “really do a quality, top-notch job” to meet the expectations of the public. Melting Tallow will be sworn in at the Kainai powwow celebration on July 21.